John’s been roasting coffee all day! 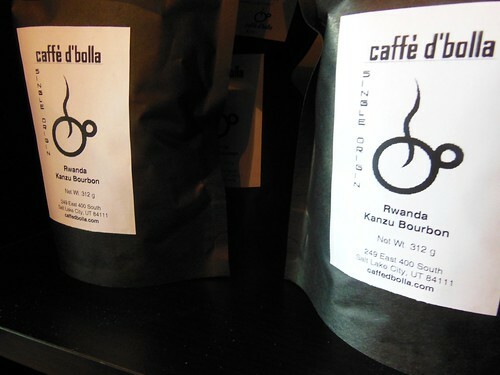 One of the coffees that just got bagged and ready is Rwanda Kanzu Bourbon. This 100% Bourbon comes from Kanzu – in the Southwestern portion of Lake Kivu. Coffee cherry is brought down to this station from hundreds of small farmers. Depulping is done by using disc depulpers, and then the beans are fermented for about 24 hours and washed in long channels. After soaking, the coffee is laid out to dry on raised beds, which facilitate airflow and ultimately allows for moisture to dissipate efficently. In the cup it’s plum, black currant and raisin with a red honey and hint of brown sugar sweetness. Bourbonified goodness!